We invite you to a pre-concert buffet and program at 5:30 p.m. in the Lied Commons. Proceeds will benefit presentations of Time and the River in North Platte and Omaha. and the company of your friends. Suggested donations are $80 per person and are tax deductible. Please reserve your seat by Friday, April 19. You can pay online or by check. All donations are appreciated, even if you can't attend. Thank you. If you have questions, please contact Bob Kuzelka at 402-475-0221 or rkuzelka1@unl.edu. Please enter the number of attendees and the amount of your donation and your information in the following form. 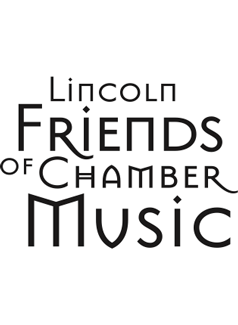 Once you enter your credit card information on this secure page and click or tap on the SUBMIT button, your credit card charge is processed, while the reservation and donation information goes to Lincoln Friends of Chamber Music. Enter the amount of your donation. The suggested donation is $80 for each person.